Dr. Stumpff, originally from Newfane, NY, is the owner of Advanced Veterinary Care of Vestavia and has been practicing veterinary medicine since 1995. 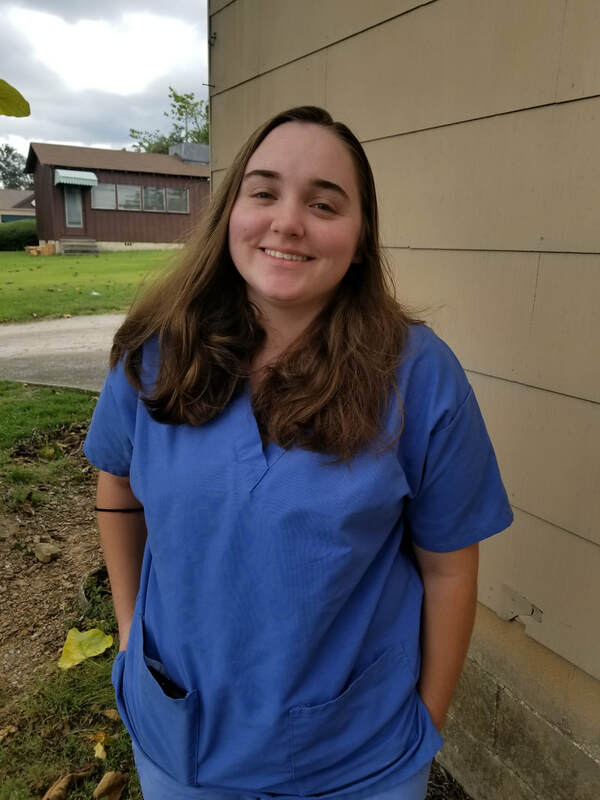 She attended Ashland University in Ohio for her undergrad, and Dr. Stumpff received her DVM from Auburn University's College of Veterinary Medicine. She has a special interest in internal medicine and ultrasound. Dr. Stumpff lives on nine acres of land with her husband and three children, along with numerous pets and farm animals. Outside of work, Dr. Stumpff enjoys reading, gardening, spending time with with her family, crocheting, mosaic art and taking care of her farm. She is well-known for her positivity and dedication to animal health. Jenny is originally from McLean, Virginia. She moved to Birmingham in 2016 after graduating from Auburn University. While attending Auburn, Jenny had the opportunity to travel to Africa to do small animal field research. She later received her Bachelor of Science in Organismal Biology. Jenny's long term goal is to become a doctor in veterinary medicine so she can conduct conservation research. She loves AVC for its positive, uplifting environment and smiling staff. In her free time, Jenny enjoys hiking, cooking, and relaxing with her boyfriend and three dogs. She is caring, positive, and detail-oriented. ​Dr. McKnight is originally from Mobile, AL and has lived in Birmingham for 26 years. In 2008, she received her Bachelor's in Biology with a minor in Chemistry. After graduating from UAB, she attended Auburn University's College of Veterinary Medicine and got her DVM in 2013. Dr. McKnight completed her internship in NC at Carolina Veterinary Specialist in 2013. In 2016, Dr. McKnight's case study was accepted for publication in JAVMA. Her primary interests consist of internal medicine, neurology, geriatric medicine, and hospice & end of life care. She takes a fear-free approach to medicine. Dr. McKnight enjoys working at AVC because everyone she works with is just as passionate about animal health as she is! In her free time, Dr. McKnight likes to garden, read, travel, and go hiking with her husband and two dachshunds, Gus & Eva. Dr. McKnight is independent, organized, and compassionate. ​Lindsay was born and raised in New York. As a child, she greatly enjoyed spending time on her Aunt and Uncle's llama farm. When asked the question, "What do you want to be when you grow up?" Lindsay's answer was always a Veterinarian or a Zoo Keeper. In elementary school, she moved to Alabama and later graduated from Auburn University with a degree in Human Development and Family Studies. For several years, Lindsay has been a regular "critter sitter" for local families. Lindsay can be described as thorough, kind, and supportive. Katheren is a resident of Birmingham who graduated culinary school with a pastry degree in 2011. Following her degree she was employed with Organic Harvest for 5 years. Though her passion lies in creating delicious meals and desserts, her heart led her to change paths. She's always had a love for animals and now that love is able to shine! Her favorite aspect about working at AVC is being able to see the client's smiling faces and their furry family members. In addition to her receptionist duties, Katheren oversees many aspects of AVC Animal Rescue. Outside of work Katheren enjoys cooking, watching movies, and traveling. Katheren can best be described as passionate, fun, and outgoing! ​Claire is originally from Birmingham, AL. She goes to Vestavia High School right now and wants to go to school for Vet Medicine/ Animal Sciences. She loves working at AVC because she loves working with the staff and being able to love on all the animals that come through! In her free time, she likes to hang out with her 2 dogs and participate in high school activities. She describes herself as independent, goofy, and outgoing. ​Brittany is originally from Birmingham, AL. 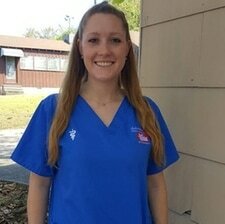 She went to Bevill State for psychology and decided to change career paths to start working with animals. She loves working at AVC because she likes how the doctors work and strive to be a stress-free clinic. She also likes working with the staff we have and making sure the animals get what they need! In her free time, she likes to hang out with her husband and 3 dogs. She describes herself as positive, outstanding, and funny. ​Mya is originally from Pennsylvania and has lived in Birmingham, AL. for about 2 years now. She is going to Jeff State Community College for Business. She has been in the pet profession for about 1 year now. She loves working at AVC because she is able to help animals who are sick and seeing the pets get better. She also enjoys the staff and clientele. In her free time she likes to read books and watch TV and movies. She would describe herself as funny, happy, and outgoing. ​Nate is originally from Washington State and has lived in Birmingham for about 20 years. He has been in the pet profession for 9 years. He enjoys working at AVC because he loves being able to love on all the dogs and working with others who love their jobs! In his free time, he likes to work with wood, hang out with his girlfriend, and take his 2 dogs to the park! He describes himself as thoughtful, witty, and handy.